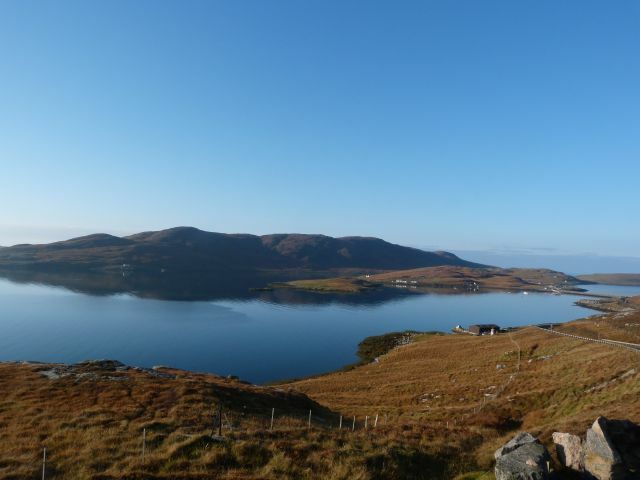 Situated on the beautiful island of Vatersay, accessed via the Causeway from Barra, this recently refurbished house is a perfect spot to unwind and relax, enjoy our beautiful beaches and get away from it all. You will be greeted at the house on arrival and shown around, we are close by at all times and are always available. 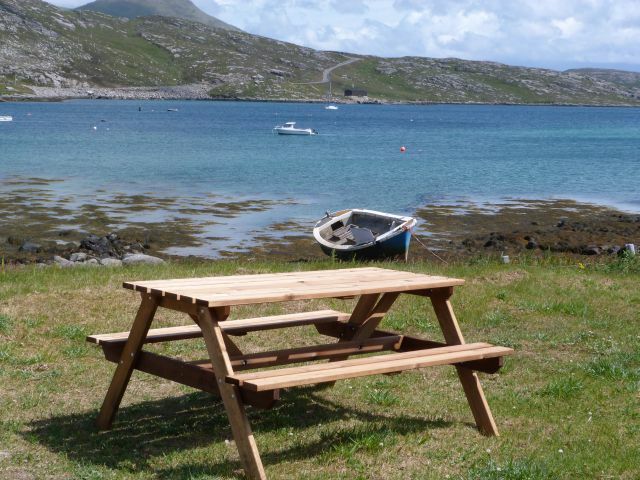 The garden is large and fully enclosed and there is a picnic table to enjoy a relaxing tipple after a day of exploring our beautiful island. 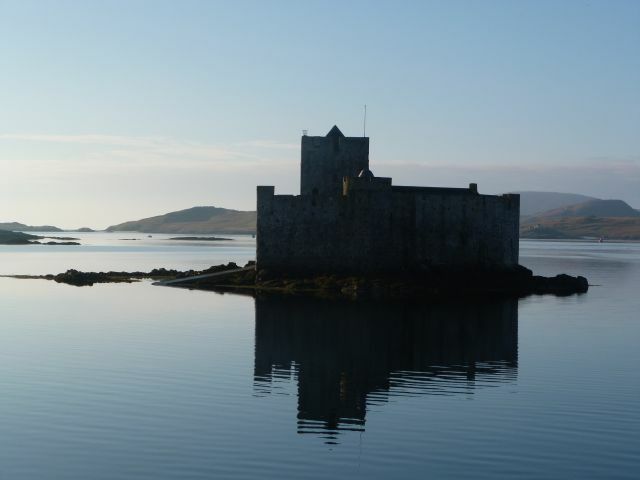 We will also do pick-ups and drop offs from the ferry terminal or airport. The freshest shellfish is also available on request. 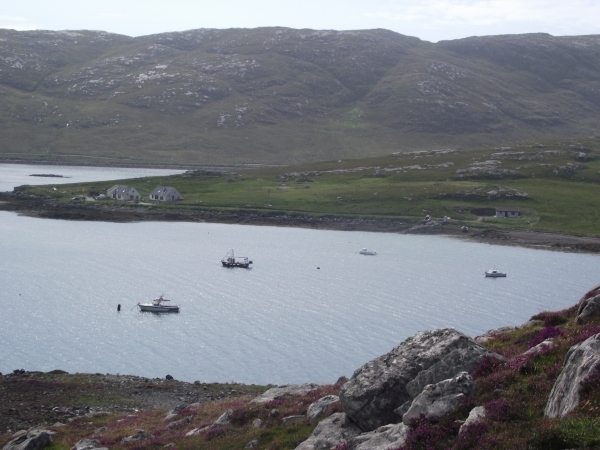 Good location on beautiful Vatersay, not far from Castlebay on Barra. 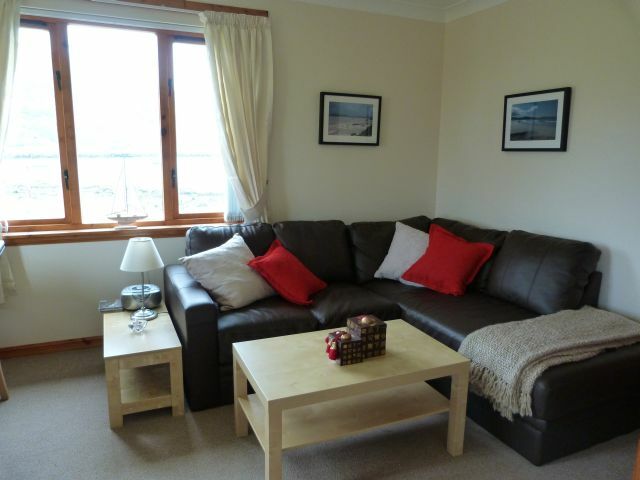 Very well furnished and well cared for small cottage, spotlessly clean. Helen and Donald are extremely friendly, kind and helpful, but not at all pushy. Helen can advise on “what’s on” (as well as being a talented artist) and Donald gave us very sound advice on CalMac sailings. Really, just a wonderful relaxing holiday. 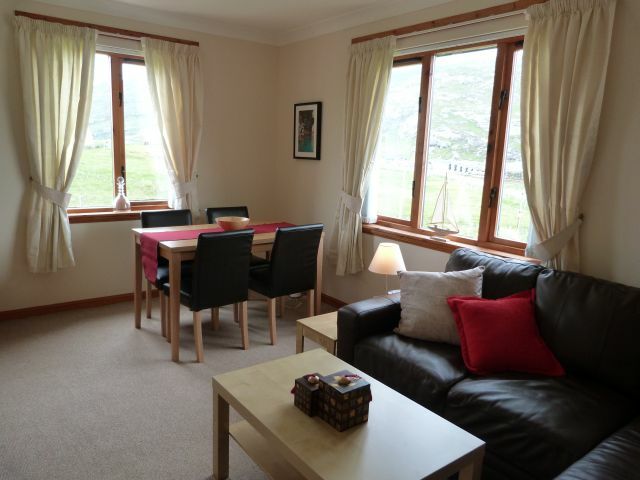 This lovely comfortable and cosy cottage is well equipped, well maintained, very clean and newly furnished. Helen & Donald made us very welcome and nothing was too much trouble. Great views from the living room across the sound. Very beautiful and peaceful location. Cannot fault and hope to be back soon. Thank you Helen & Donald. 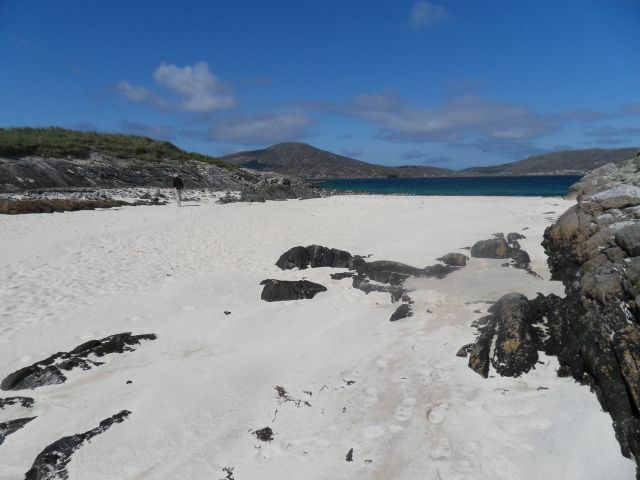 Vatersay is such a beautiful island – great beaches. We totally agree with all that has been said previously about this neat, clean and astonishingly well equipped little gem. Booking over the phone was not so much a business transaction as a chat with a lively and helpful friend, and like all good friends, Helen rang us just before we left to make sure that there was nothing that we wanted getting in and to make sure that we’d got the directions straight – useful, because Google maps point you to Helen and Donald’s home, not 14 Caulis. 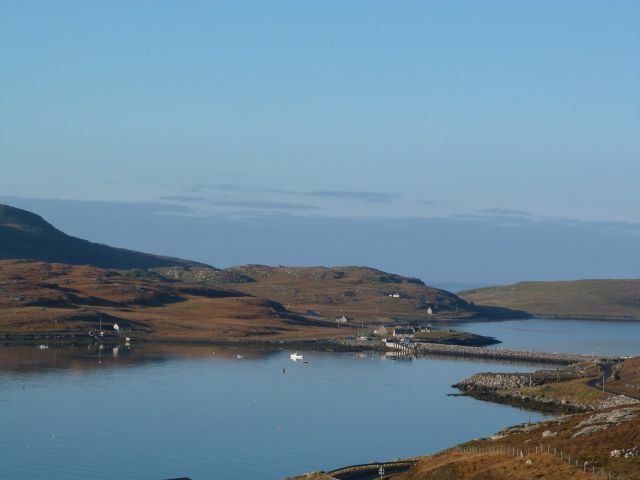 Talking of finding places, it’s worth noting that Allt Chrysal, a fine archaeological site on Barra, is also referred to as Allt Easdal. We spent ages searching for the latter name on the OS map, only to discover that we could actually see it from the cottage! 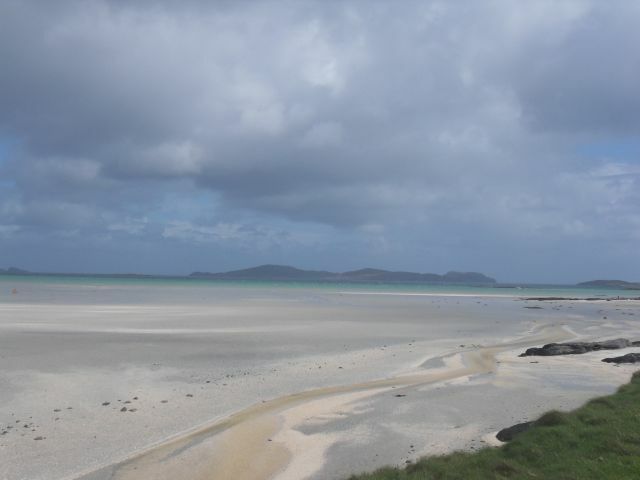 We will be back to what has become our favourite Hebridean island – assuming Vatersay and Helen and Donald will have us! 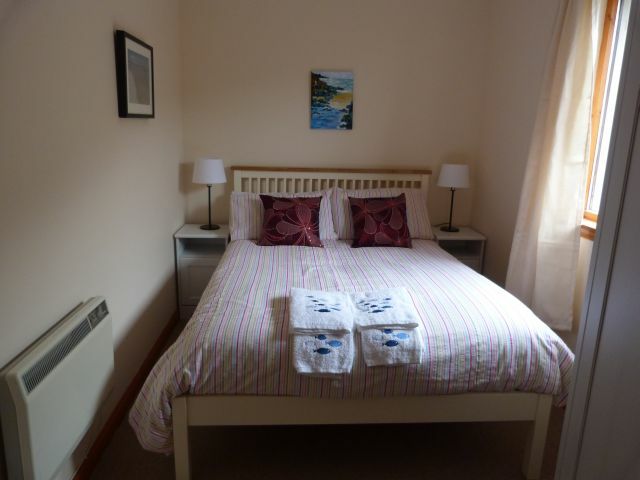 We found this house very cosy, comfortable and well equipped. The view over the bay was fantastic with seals living just along the coast. Another plus was the terrific crab that the owner, Helen sells. Highly recommended. Had a great week here at this delightful cottage ,it was spotless ,cosy & very well equipped Helen was most helpfully & friendly , wee would recommend it to anyone wanting a relaxing break. We really enjoyed our stay in this lovely wee house. It was wonderful wakening up with a great view of the sea. There was everything you could need and more in the house and it was spotlessly clean. We were going to bring our own dog cage, but Helen provided with one, which was a godsend, as space in the car was at a premium with 3 adults and 2 Labradors. We loved Helen’s pictures on the walls. I had a split tyre and Helen and Donald were so helpful in contacting someone to fit the replacement from Oban. Thanks very much Helen and Donald – the wee extra’s like the chilled wine in the fridge, were much appreciated. I would fully recommend the house to anyone. 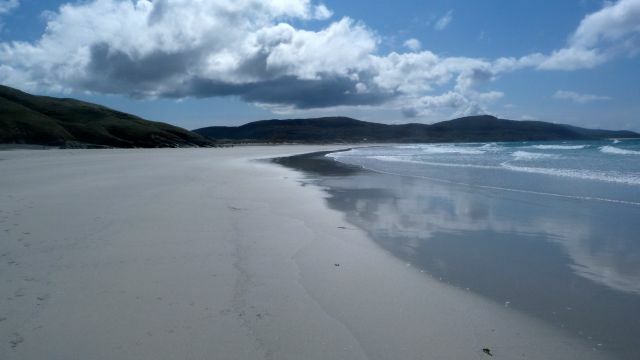 Enjoyed an amazing sunny week in Vatersay, July 14. 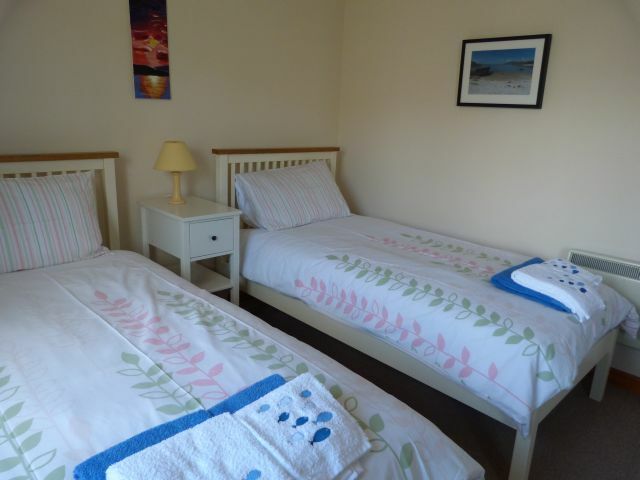 The cottage is in a beautiful setting and is comfortable, clean and well appointed. The owners were very welcoming and friendly and in fact helped us greatly when we had car trouble. 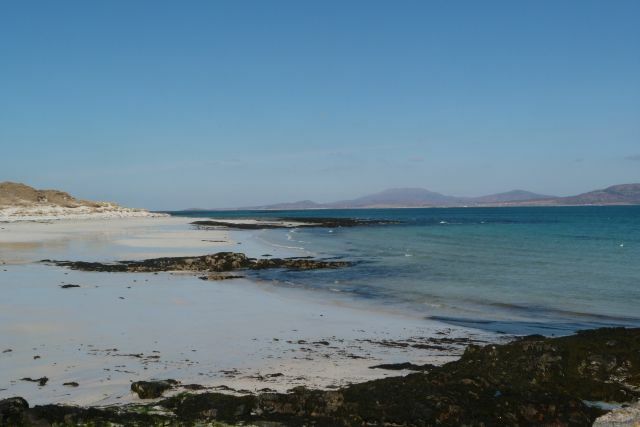 Our holiday to Vatersay / Barra is one we won’t forget and hope to return soon to the amazing beaches and the crystal clear sea. Just back home after a fantastic holiday the cottage is spotlessly clean and well maintained lovely fresh linen and towels amazing views from window loved just sitting outside watching the world go by so peaceful thank you so much missing it already see you same time next year. Oh we are here and having a lovely time. 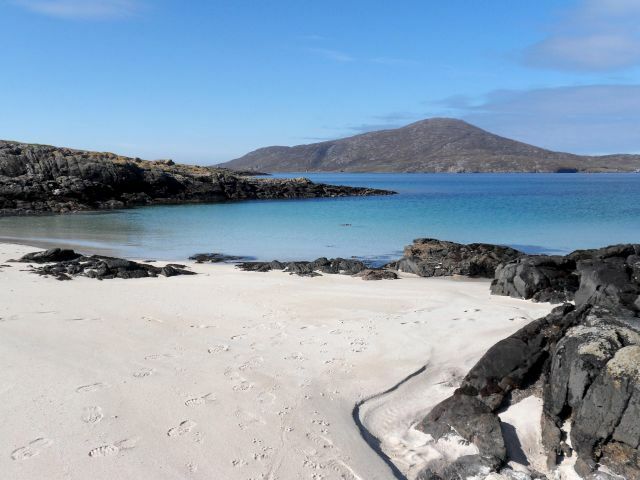 agree with all reviews-a really excellent cottage on a beautiful island. So sad to be leaving! This is a beautiful cottage with a lovely welcome. We stayed for 1 week in this very clean and comfortable cottage which has everything you need, from tin opener to washing machine. Cosy living space with TV/DVD if required, the practical kitchen with all mod cons was easy to use, and the nice bedrooms had plenty storage space and the most comfortable beds with beautiful crisp bed linen. Before we went, I was concerned about the over bath shower as my mother is a bit disabled and finds it difficult to get in and out of baths, but there was nothing to worry about, as the bath was nice and low and equipped with handles which made it so easy for her to shower. There was nothing that hadn’t been thought about to make this a fully equipped holiday home and we can’t wait to go back … it really was such a peaceful holiday and part of that is about having everything to hand. The contact was close at hand if needed and Vatersay is one of the most beautiful places I have ever seen. Hope to see it again many times in the future. 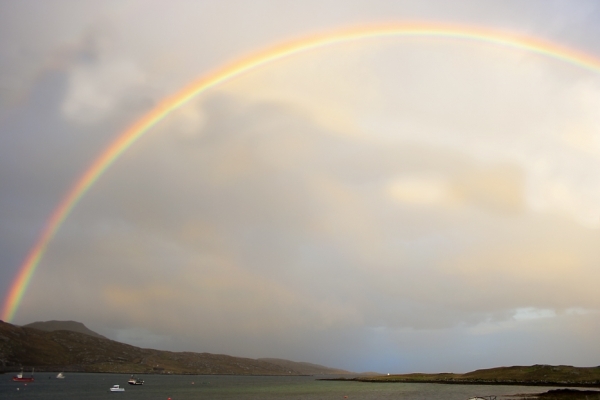 The picture attached was taken from the door of the cottage. Thank you for a wonderful holiday! 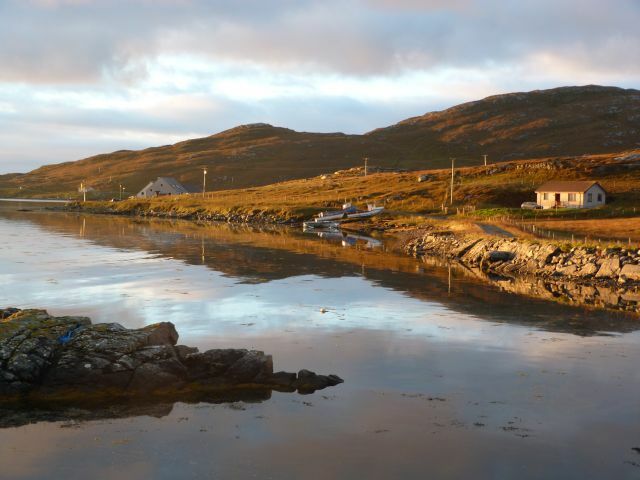 Lovely wlcoming cottage with a fabulous outlook. Had an amazing time here. Looking forward to coming back.